Daytona Beach Shores is a well maintained, picturesque, oceanfront community of friendly residents located on the barrier island directly south of Daytona Beach, Florida. It was originally founded in 1960 by local businessmen who believed that a smaller oceanfront community would better serve the residents. Its location and size in particular makes this a prime location for resort style living. In fact, about 80% of the residents live in high-rise condominiums and many have invested in Condo Units with breath-taking views of the Atlantic Ocean. Although Daytona Beach Shores is only 5.5 miles long, the city features the beautiful Atlantic Ocean on the east and the tranquil Intracoastal Waterway on the west. Visitors and residents are able to sail, cruise or fish along the waterway. Being able to enjoy the many scenic views, natural wild life, and exotic birds from either the east or the west is what has made Daytona Beach Shores a popular Florida community. The Oceans Racquet & Recreation Club is owned and operated by the City of Daytona Beach Shores. On-site free parking is available for those that desire outstanding recreational opportunities for all levels and abilities. “For players bringing their own equipment, the Bocce Ball, Horseshoe, and Shuffleboard facilities are open every day, dawn to dusk. Courts feature on-court refrigerated water fountains, and covered viewing areas. The Club hosts numerous social and competitive events throughout the year. Please check with the staff for availability and schedule,” explains the official Daytona Beach Shores website. Whether you are seeking a vibrant city or a beach-side retreat you can find the best of both in Daytona Beach Shores. 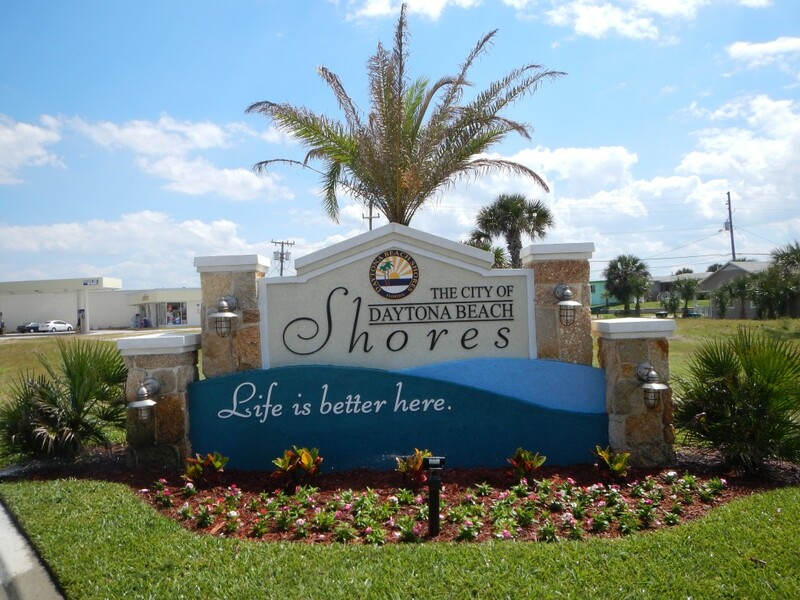 Come enjoy walks on the beach, fishing on the Intracoastal Waterway, exploring the parks, and the many other recreational opportunities, or just relax watching the waves roll in as children build sand castles, the City of Daytona Beach Shores has something for everyone. Are you considering investing in Florida real estate? It is best to work with local professionals familiar with the Daytona Beach Shores area. Florida Real Estate Pros specialize in scouting out good deals for you in this sought after area of Florida. Please, contact your Florida Real Estate Pros for more information about the Daytona Beach Shores area of Florida, Condos for sale and investment opportunities. Listings in Daytona Beach Shores! Updated: 17th April, 2019 6:27 AM.